Watch archive footage of Rich Froning vs. Mat Fraser on Workout 15.1 and 15.1a on the CrossFit Games site. CrossFit Level 1 Certificate Courses: CrossFit Modiin, CrossFit Steele Creek, Iron Oak CrossFit, I Am CrossFit Coconut Grove, CrossFit Omaha, CrossFit Morristown, Reebok CrossFit One, PURE Fitness CrossFit, West View CrossFit, CrossFit Vienna The Loft, Reebok CrossFit Mokotow, Reebok CrossFit Almere, CrossFit Little Hell, CrossFit Richmond, CrossFit Posto 9. CrossFit Level 2 Certificate Courses: CrossFit Lackland, CrossFit Ranch, CrossFit Belltown, CrossFit Mayhem, CrossFit Laval, Reebok CrossFit Velocity, CrossFit FRA, CrossFit Chiwoo, CrossFit EMOM Villa Luro, CrossFit Gladius Barra, K-State CrossFit. 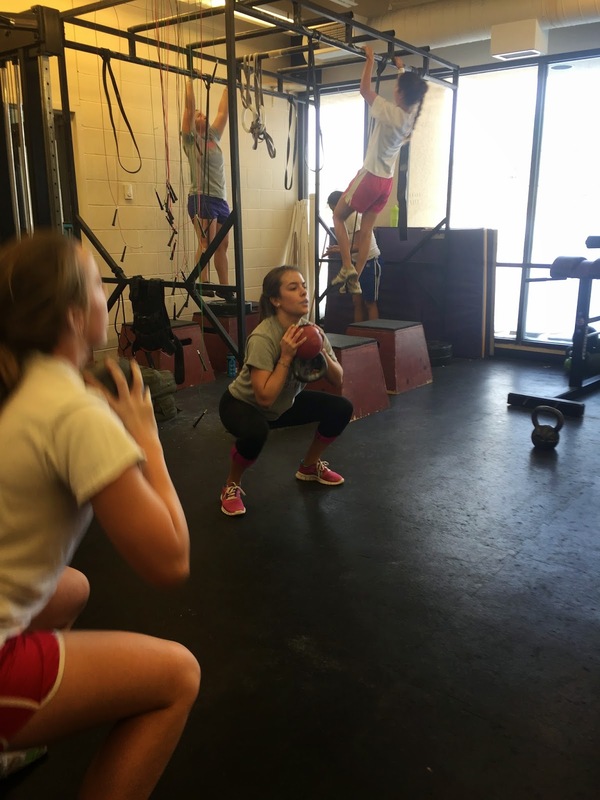 CrossFit Kids Courses: CrossFit Carbon, CrossFit Ambush. Andre Gadney at CrossFit Jozi East. The clock runs continuously for the 12 minutes. Post number of reps each round. - Shannon Isaacs, Rest Haven, Georgia. CrossFit Level 1 Certificate Courses: Fire Department of the Military Police of Sao Paulo, Brazil, NorCal CrossFit, CrossFit Strong, CrossFit Mayhem, Rainier CrossFit, CrossFit Carbon, CrossFit Omaha, CrossFit Laval, Aarhus CrossFit, CrossFit B23, Reebok CrossFit Mokotow, CrossFit Little Hell, CrossFit Effects (FX), Jauria CrossFit, High Pulse CrossFit. CrossFit Level 2 Certificate Courses: NorCal CrossFit Santa Clara, CrossFit Max Effort, CrossFit Construct, Reebok CrossFit One, CrossFit Calgary, Reebok CrossFit Plaza Condesa, Reebok CrossFit Parma. CrossFit Competitor's Courses: CrossFit DFW. CrossFit Kids Course: CrossFit Rocks, CrossFit Columbus. Marty Johnson, coach at CrossFit Durango. "Write Your Legislator: Stop Anti-Competitive Fitness Bills," The Russells.